I refer to kinesiopathy as any loss of mobility of the fascias, aponerosis, synovial capsules, or nerves. This kinetic disorder is due to “adhesions” provoking peripheral musculoskeletal complaints – which will be addressed elsewhere. 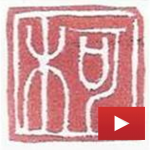 Fascia: the hidden allies of our body (Arte). Finally ! An excellent documentary that popularizes the responsibility of fasciae dysfunctions in musculoskeletal disorders. Fortunately, our brilliant J.-C. GUIMBERTEAU is among these passionate foreign researchers. 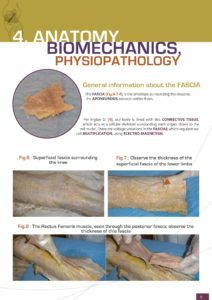 They confirm my first explanations on the formation of inter-fascial adhesions (muscles, “glued” tissues) published in 2008. They are close to proving that osteopathy by manual adhesiolysis and other techniques can restore the gliding of deep fasciae. Good! They can use even more cleverly dynamic ultrasound to map muscular kinetic disorders (as long as I am not asked or quoted, I have no reason to deliver turnkey instructions for use). 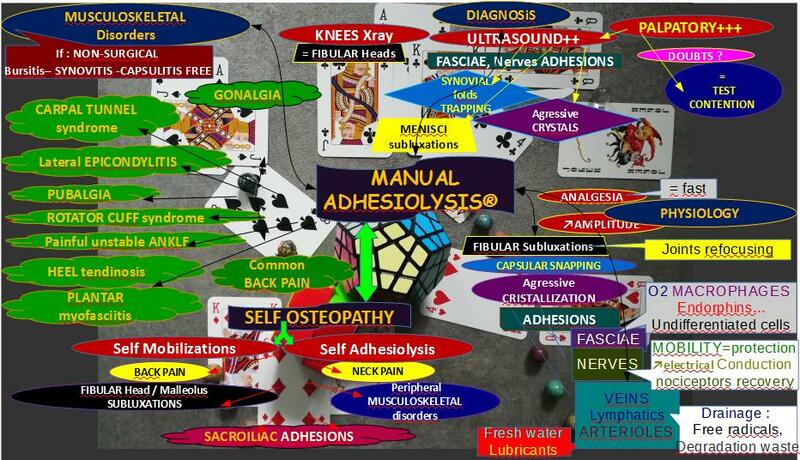 I hope that the future craze for our deep fascia will be measured, in order to highlight other frequent dysfunctions accessible to manipulation (capsular Trapping, synovial folds and pseudo-meniscal Snapping / aggressive micro-crystallizations / articular and meniscal Subluxations) . 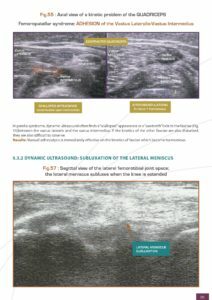 Currently, we are studying Thoracolumbar Fascia in dynamic ultrasound before and after Deep Manual Adhesiolysis® of the Multifidus (against the spinous process and vertebral lamina) and Spinatus-Longissimus muscles (covers the Multifidus). 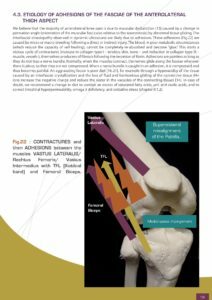 We would like to describe our observations: the improvement of the Multifidus and Longissimus kinetics, as well as the return of a “correct” morphology of the Posterior thoraco-lumbar fascia in order to distinguish, again, its thin bunked layers, of synergistic histologies. Is this osteopathic method structural or functional? Adhesiolysis lies at the border of both. I use these two important types of osteopathy as complementary methods, in function of the patient’s needs. Normally, there is no need for thrusting (“cracking”), unless the patient requests it. This is a more functional method, with the difference that it is more painful and the results are immediate, or felt within three days. I admit that it is not my intent to soften adhesiolysis, as I choose patients who are quite motivated to get better and who do not merely use us as a “medication,” but who are rather involved in their own treatment. In fact, it would be easy for me to be very gentle, “coddling” the patient in order to increase the number of sessions and my own financial remuneration. I cannot allow that unless they are willing to take on a qualified psychologist for the other aspects of their life (stress, depression, phobias, post-traumatic stress disorders, etc.). 3) to increase adhesion at the treatment and gain control over at least this aspect of their health and then their life. I am strongly influenced by Steven Gilligan’s Ericksonian medical hypnosis, sprinkled with techniques from Richard Bandler, Tony Robbins, etc. NB: I now avoid practicing “osteo-hypnosis”, because patients quickly become dependent on the psychotherapeutic side, which would force me to restrict my patient. I therefore prefer to refer them to psychotherapists to further explore Manual Adhesiolysis. Instant and lasting memory (restore disorder 100 words, a game of cards seen or heard “on the fly”, difficult or “boring” courses, etc. ): playing with stress and parasitic emotions. The training program is custom built and then adapts in real time.